Place biscuits on cutting board. With 1 1/4-inch round biscuit cutter, cut hole in center of each. In bowl, mix sugar and cinnamon. Dip all sides of biscuits and centers into butter; shake off excess butter. 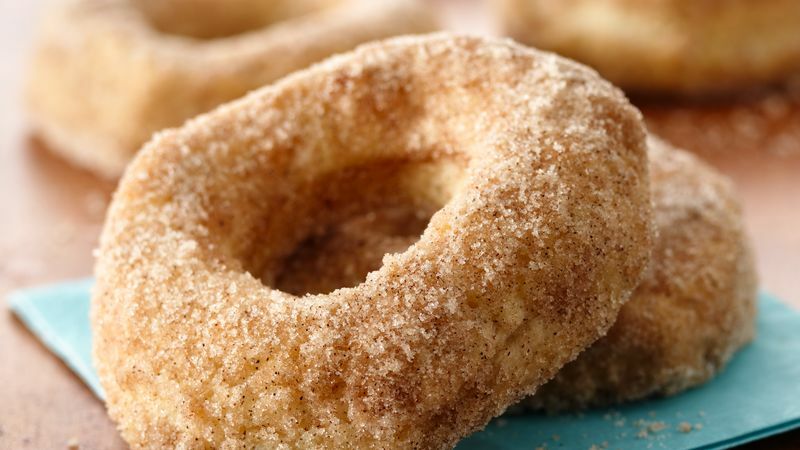 Coat with cinnamon-sugar. Place on ungreased large cookie sheet. Bake at 350°F 14 to 18 minutes or until golden brown.